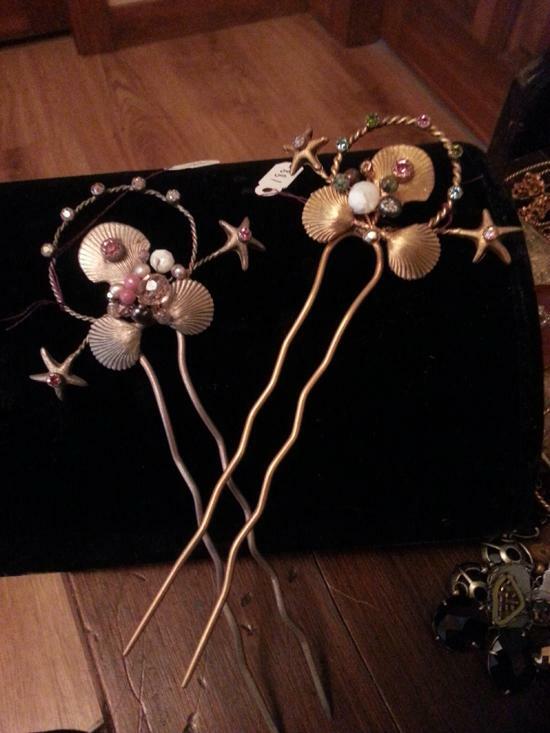 Virgins Saints and Angels Mermaid Hair Stick in Gold or Silver — Mermaid Hair Stick from Virgins Saints and Angels: The most exquisite modern hair accessories we have ever seen! 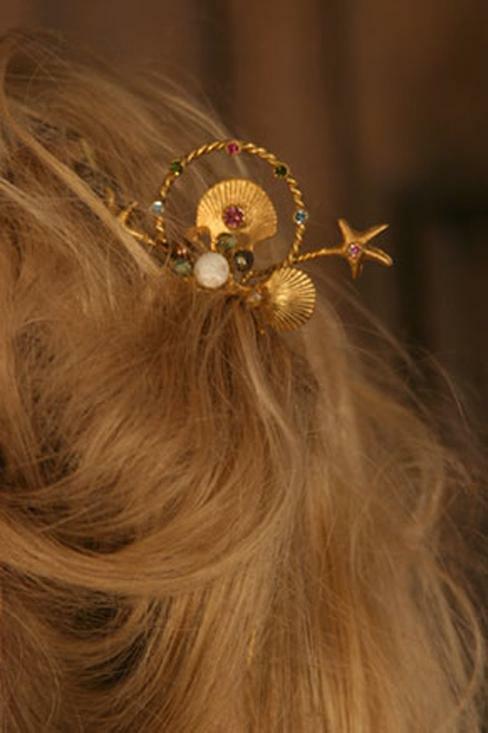 As a collector of Edwardian hair accessories, I never thought anything so delicate and romantic would ever be made again, but thanks to the designers at Virgins, Saints and Angels we can now pin up our hair....and let it down...with all the grace of the past and all the delicate mermaid looks you could ever want. 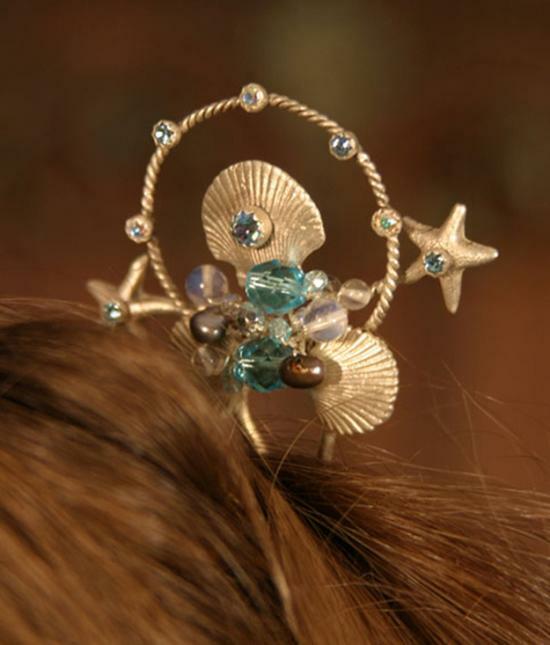 Shells, starfish and crystal on a hair pin that really works. Just roll back the part you want to secure and (here's a tip from our makeup room) spray it lightly with hair spray...if your hair is very fine you can gently back comb and secure it with a couple of bobby pins. 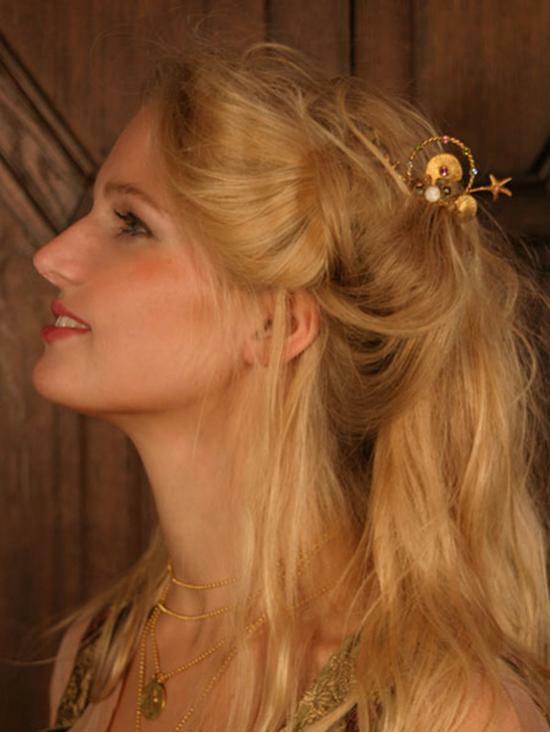 Then, just slide in the stick so it sets off your look and it will stay until you remove it.